Sign up to win your own Duet! 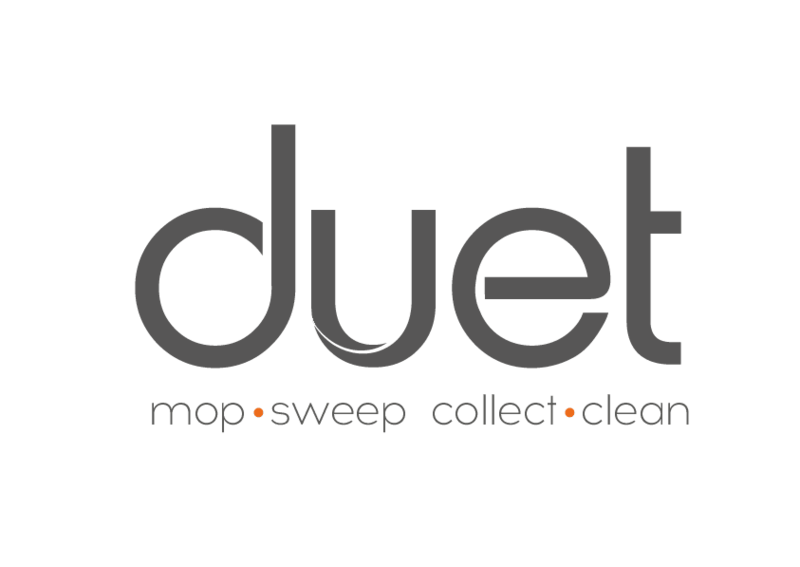 Duet is an all-in-one microfiber dust mop, sweeping broom and multifunctional dustpan. This new product combines essential floor-cleaning tools to bring your home a new level of cleanliness while saving you time, money, energy and storage space. 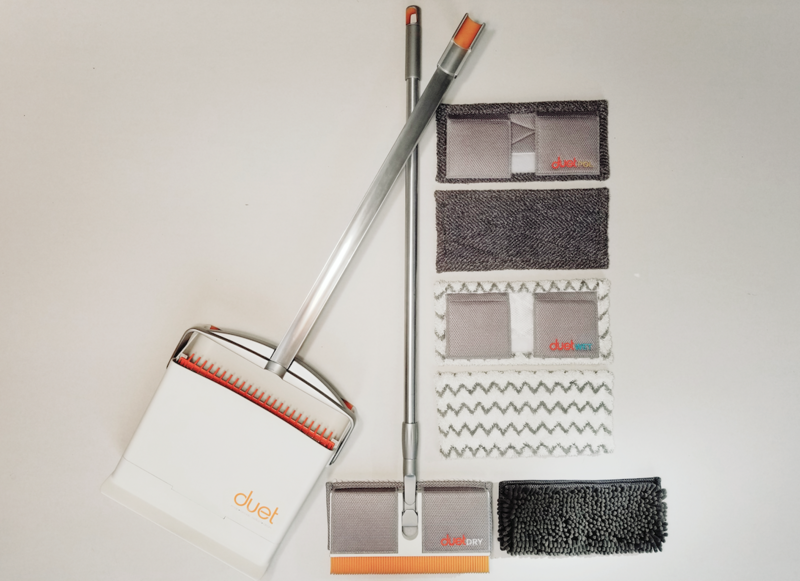 The microfiber dust mop has reusable, machine-washable pads that glide over wood, laminate, porcelain, tile and other surfaces to capture dirt, dust particles, and pet hair. When the dust mop is raised from the floor, it locks into the traditional vertical broom position for sweeping hard-to-reach areas or directly sweep larger debris into the dustpan. 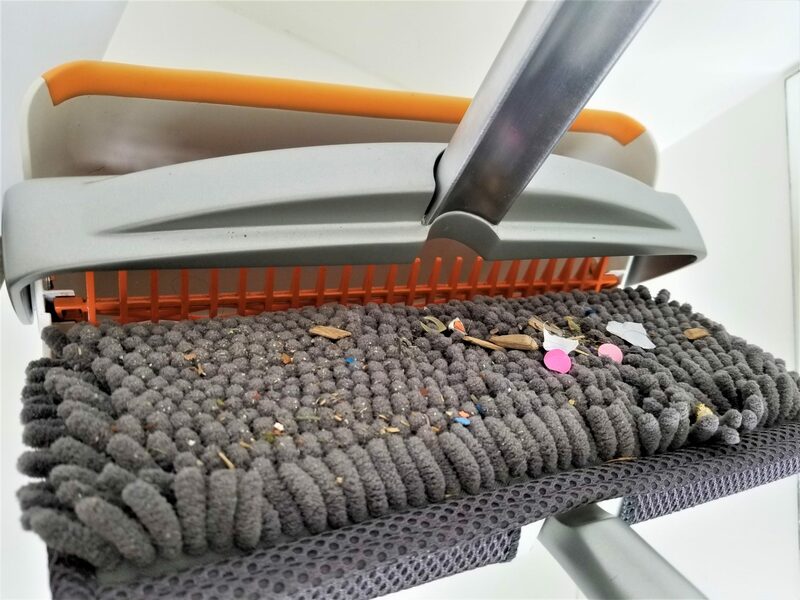 By inserting the Duet broom head into the dustpan’s patented cleaning chamber, all dirt, dust, pet/human hair, and debris will be removed, leaving your pad clean and ready for the next mess. There is no immediate pad washing or cloth disposal needed. When the job is done, everything folds up into the dustpan for compact storage. Sign up for your chance to win Duet! 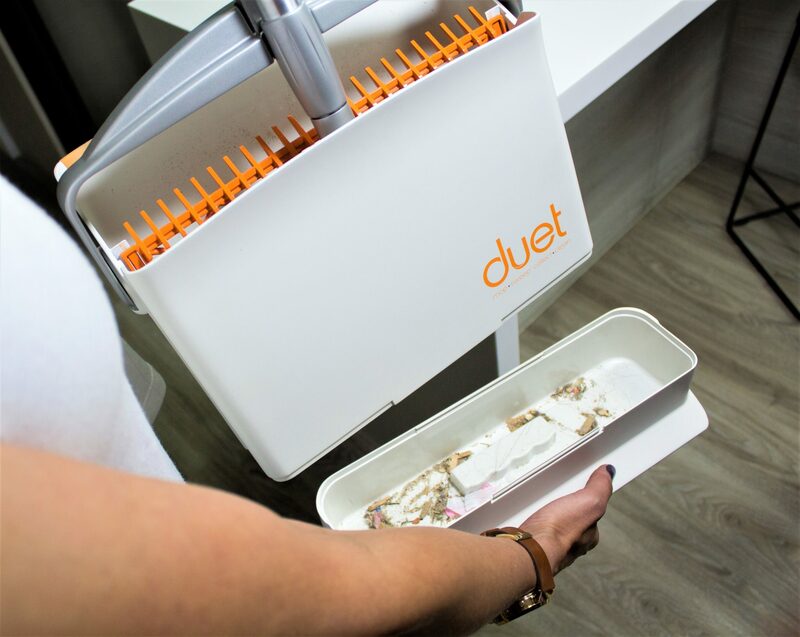 The Duet handle is extendable to match any height, and it also easily collapses for compact storage within the dustpan. The Duet head is 12in x 4in and has interchangeable pads for mopping, dusting and polishing. The Duet head features 1.5-inch silicone rubber sweeping bristles on the edge for dry sweeping, or it can also be used in wet-mode to scrub stubborn spots. To switch the head from a flat microfiber mop position to the standard sweeping position, simply lift the broom vertically and the head will self-lock. 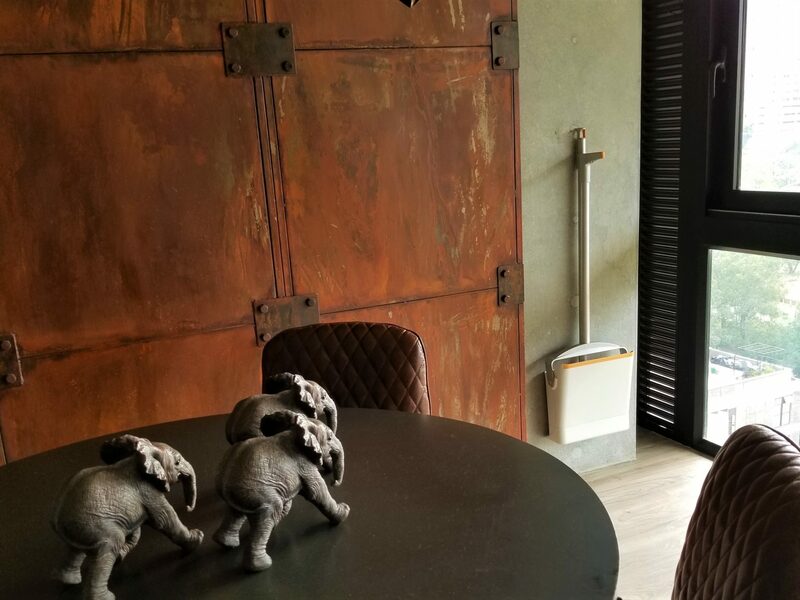 Not only can you use the dustpan to collect dust and debris swept from the floor, but you can also use it as a cleaning chamber that brushes off debris from the microfiber pad and electrostatically charges the cleaning pad to attract dust and dirt. The dustpan also has a broom bristle comb that removes hair and debris attached to the silicone rubber bristles. Machine-washable interchangeable pads can be used for dry mopping, wet mopping, floor drying and polishing.These reusable pads will eliminate the hassle of purchasing disposable cleaning pads, which saves you time and money! 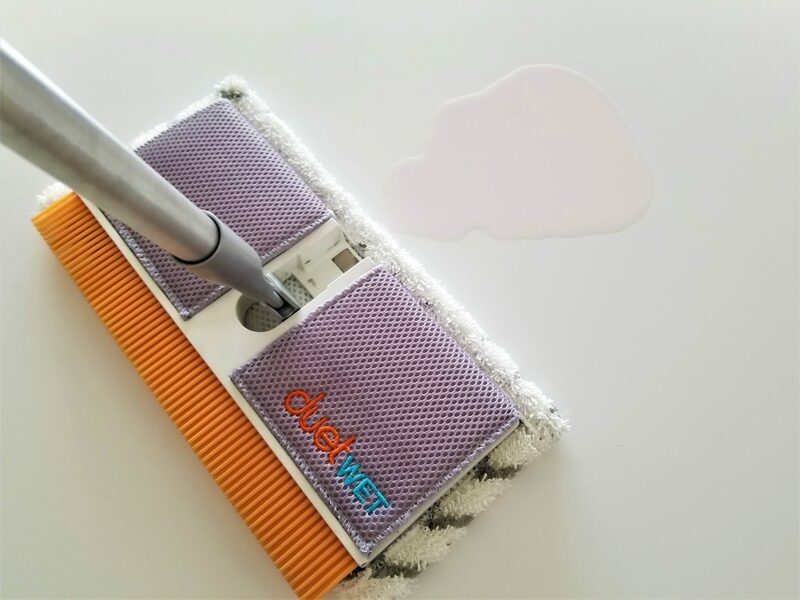 The microfiber pads easily attach to the Duet head with a standard hook-and-loop fastener, so you won’t ever have to touch the dirty side of cleaning pad. When it comes time to empty the collected dust and debris from the dustpan, simply remove the base and discard the contents into a trashcan or rinse it in the sink. The dustpan compactly and conveniently holds the entire cleaning system. Not only can Duet stand on its own, but it can also neatly hang from a hook. Duet will work beautifully in your kitchen, pantry or even your living room. Enter to win Duet! Share this contest and refer your friends to earn more entries.